If you took a look at this 1966 Wolseley Hornet Mark II and thought it was an early BMC Mini, you’re forgiven. 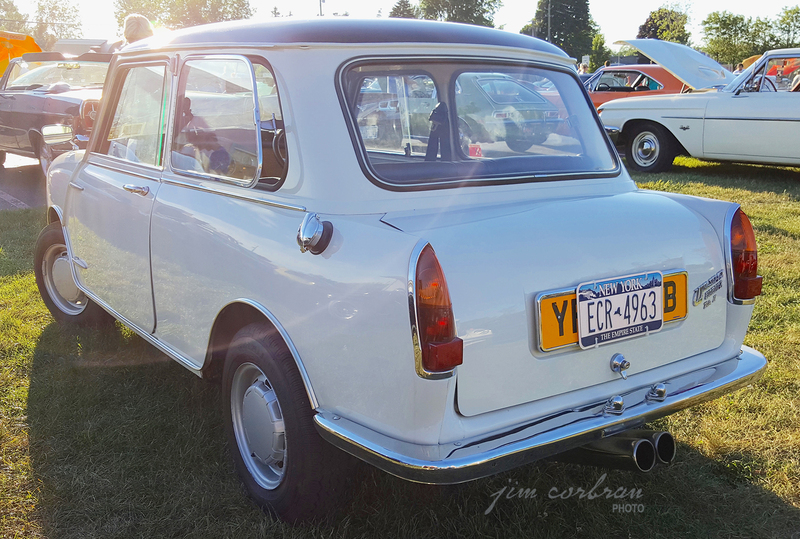 The Wolseley was a more upscale version of the car, basically (from the outside) the Austin/Morris Mini with longer rear quarters which contained the car’s boot (trunk) and a re-worked front end. 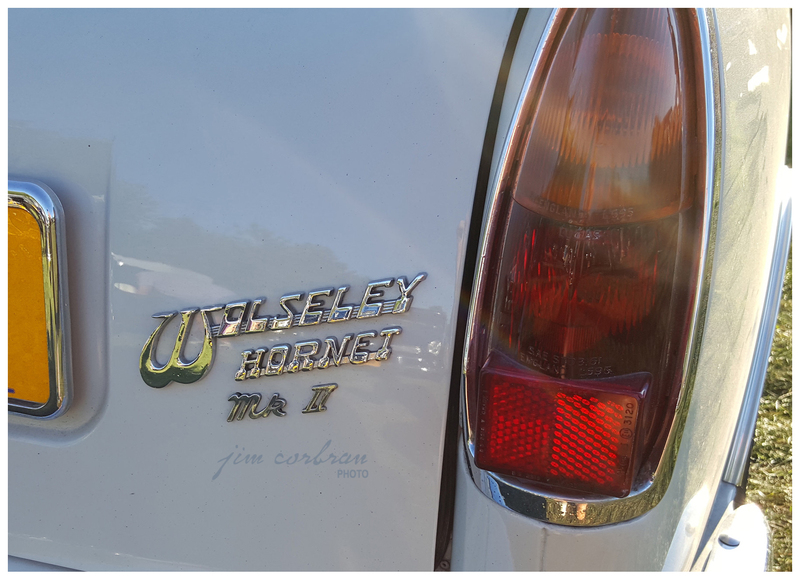 Here’s how Wolseley captioned the photo in its brochure: it: “The Wolseley Hornet Mark II, with its large capacity engine, remote control gearbox, Hydrolastic® suspension, leather interior trim, and wind-down windows in doors, brings luxury to the field of Mini-motoring. It is compact in design but roomy enough for four adults and their luggage. 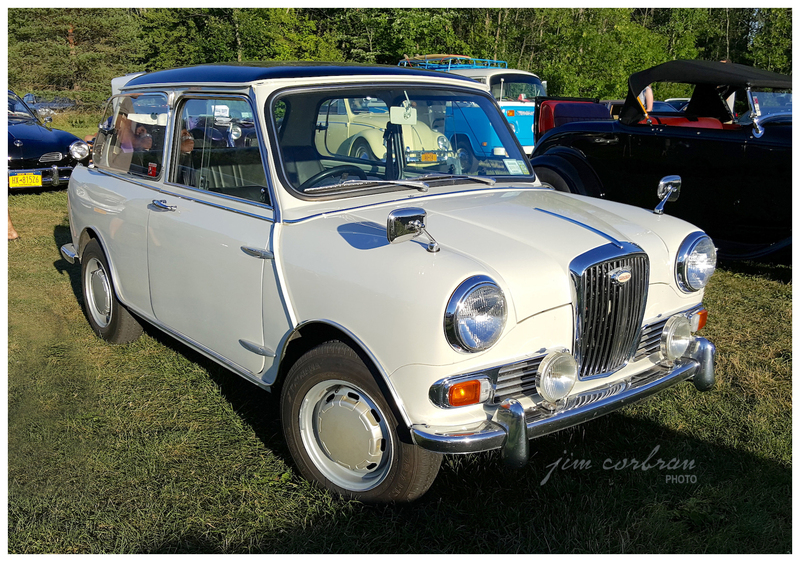 It is economical, nippy, and easy to park.” This one was parked at last week's regular Tuesday cruise-in at Paulter’s in East Amherst.